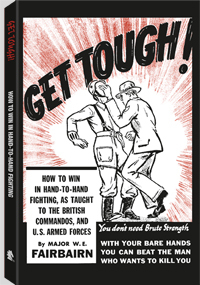 The father of modern hand-to-hand combat, Captain W. E. Fairbairn, taught the famed British Commandos from this classic, long-out-of-print manual on unarmed combat. Known for his "get tough" attitude, Fairbairn designed these practical methods after years of training troops and watching ruffians, thugs, bandits and bullies. Now you can profit from his experience. Captain W.E. Fairbairn taught unarmed combat to the famed British Commandos and the U.S. armed forces during World War II. Before the war he served as assistant commissioner of the Shanghai Police Force. He was the inventor of the Fairbairn Commando Knife and the author of the classics Defendu, Scientific Self-Defense and Shooting to Live.